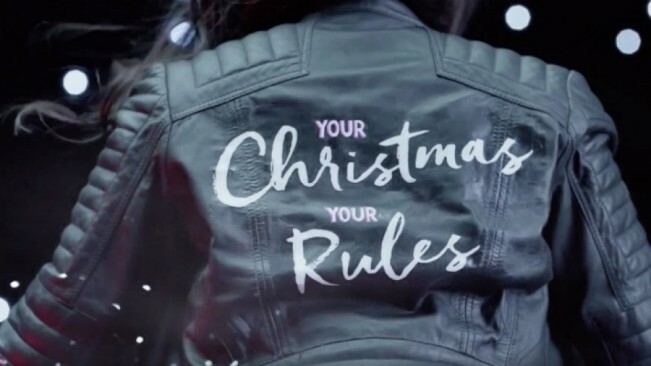 This year, House of Fraser threw their hat into the Christmas advert ring with a somewhat raunchy and vitriolic message about fierce independence. If you can stomach it, watch it here. Ironically, the message of this advert is precisely why Christ came into the world 2000 years ago. You see Adam and Eve were the first to cry “You don’t own me”, when the devil persuaded them to emancipate themselves from God. He convinced them that they didn’t want someone telling them what to do, or what to say. “You don’t own me” lies at the heart of sin, as we battle for independence and live life on our terms. Yet consider Jesus. According to Philippians 2, he himself was “in the form of God, yet did not consider it robbery to be equal with God, but made Himself of no reputation, taking the form of a bondservant, and coming in the likeness of men. And being found in appearance as a man, He humbled Himself and became obedient to the point of death, even the death of the cross.” If anyone could cry “you don’t own me”, it was Jesus. He was (and is) fully God and has been here for all eternity. He is Master and sovereign Lord of the universe. Yet he lived in perfect submission to the will of his Father, laying down his life the sinful human race he did own. The real tragedy of the “you don’t own me” philosophy is that it is the single greatest barrier to salvation. How can you bow the knee before Christ the King if you’re not willing to accept that he does own you? Is the House of Fraser ad a poster boy for confident, joyful, abundant life? Hardly; it’s more like the petulant, indignant riposte of a rebellious child. In that sense, it could not be more fitting for Christmas. Christ came into the world to save us from this destructive rebellion, to give us life in abundance (John 10:10) and to truly set us free (John 8:36). You won’t find your identity by asserting your own independence; you will find it through a relationship with the one who made you, who saved you, who loves you. If you want to discover a life that is full of real joy, don’t visit House of Fraser. Come to the house of God.